SMBs can leverage the power of Salesforce to grow their business. 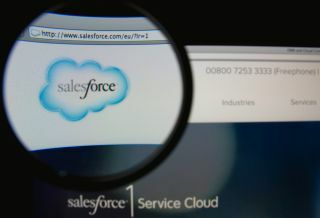 Small businesses can now leverage the power of Salesforce with easy-to-use, intelligent apps built from the ground up to cater to the needs of their organisation. Salesforce Essentials delivers new sales and services apps backed by the power of Salesforce Trailhead, Einstein AI, Lighting and AppExchange. The first Essentials apps, Sales Cloud Essentials and Service Cloud Essentials, are available today to help SMBs future-proof their business and put customers at the centre of their organisation. Small sales teams can utilise Sales Cloud Essentials to get up and running fast so that they can work smarter and sell more. Lighting Sales Console provides sales reps with a complete view of their customers including key contacts, customer communications, account discussions and activity history in one place that can be accessed from any device via the Salesforce Mobile App. Using Service Cloud Essentials, small service teams can instantly set up helpdesks to provide customers with faster and more personalised customer service. Lighting Service Console gives service agents a 360-degree view of every customer service interaction through one unified desktop view. This ensures they have the context necessary to resolve issues faster and with greater accuracy. The Service Cloud Mobile app will also allow agents to provide the same level of personalised customer service from anywhere in the world. Sales Cloud Essentials and Service Cloud Essentials are available today and small businesses that are interested in the Salesforce Essentials apps can even give them a test run with a free trial.